CRADLE Fund Sdn Bhd, the early stage grant provider, has announced what it called a “strategic partnership” with startup incubator VLT Labs that both hope would increase the commercialisation rate for grant recipients. 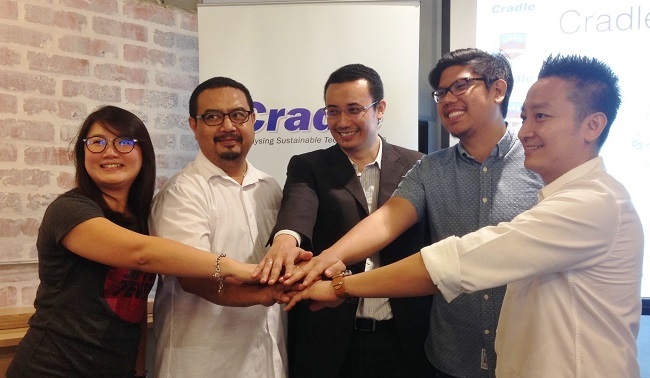 Cradle, a non-profit company under Malaysia’s Ministry of Finance, operates the Cradle Investment Programme (CIP), which disburses grants to promising tech startups. VLT Labs has been appointed a vendor and service provider for the design and development of CIP grant recipients’ business and products. Founded in 2012, VLT Lab claims to have built over 40 startups, among them Supahands, which offers a virtual assistant service for entrepreneurs; and Tablework, which operates an online platform that helps actors prepare for their roles. Supahands was amongst the six Malaysian startups that secured funding from the Axiata Digital Innovation Fund (ADIF), a collaboration between Axiata Group Bhd and Malaysia Venture Capital Management Bhd (Mavcap), last December. ADIF invested a total of US$2.9 million (RM12.5 million) into the six companies, but did not give a breakdown. Cradle investment vice president Xelia Tong How Yin said that Cradle and VLT feel there is a need to bring in a “business builder and developer” that can assist startups come up with refined ideas and products in order to be more competitive. “Although we are just a fund provider, we do see a need to find suitable partner that we can work with to help entrepreneurs advance further,” she told a media briefing in Kuala Lumpur on Jan 22. “This partnership combines both parties’ visions and expertise, and will provide a more effective approach in building and helping entrepreneurs make it in the market. “There is assurance that the entrepreneurs will get the best in both quality and turnaround time, whilst Cradle, on the other hand, gets to see more successfully completed and commercialised ideas from the companies we invest in,” she added. Tong said that, on average, about 80 startups walk through Cradle’s door every month seeking funding. VLT Labs cofounder and director of design and user experience (UX) Izwan Ismail said partnering with Cradle and leveraging its platform would enable VLT Labs to better align its efforts to help propel the Malaysian startup ecosystem even further. 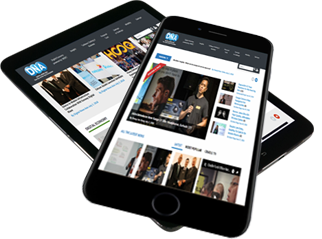 “Having learnt from every startup that we have helped build, we considered that we could share our experience with Cradle entrepreneurs in a more structured and regular manner, and possibly partner with a few of them to launch their startups,” he said. According to VLT Labs director Andrew Tan, VLT Labs does not usually fund startups, preferring to get a stake in exchange for its services. “Startups can choose to partner with us, where we will take a stake in exchange for our services, or they can just be a regular customer and pay us for our services. “Our value-add is our services, so when startups come to us for capital, we recommend they look for other players who are more equipped at capital provision,” he said.